Come Hang with your Friends! GET YOUR TICKETS ONLINE AND SAVE! Click here to see the unique and tasty homebrews that will be available to sample at the event. Four very talented local bands will be supplying the tunes while you sample homebrews. Click here to check out who is playing the festival this year! Get educated on beer styles. The “BJCP style guidelines” is the quintessential beer style guide. It tells you what to expect when tasting a particular style of beer. It’s what the judges use while judging beer. You can download it here or download the app for iPhone and Android. Old Dog is a Humboldt County acoustic band in its 19th year of playing and writing music together. Their sound is usually described as “Folk/Americana” with strong Bluegrass and Old Timey tendencies. Developing original music from early on, the quintet shares true stories of freight hopping and the highway, ballads of love and family both lost and found, upbeat instrumentals, and some irreverent, rowdy renderings. Emerging from the hazy Humboldt fog comes a new band of unshaven rag tag ruffians, Raising Grain. With over 80 years of combined life and hard living Raising Grain has come to throw down a mix of originals and covers. A Bluegrass power trio, combining traditional and progressive Bluegrass, Raising Grain has come to make you dance and maybe, just maybe, make you think.... Steeped in mystery and myth some say they are neither man nor beast but rather a combination of oxygen, carbon, hydrogen, nitrogen, calcium, and phosphorus but we'll let you decide. You can find Raising Grain playing your favorite local Arcata area bars and breweries. You can also find Raisin Grain at your local grocery store in the cereal isle between the Grape Nuts and Kashi and remember, it would take over 20 bowls of Raisin Brain to equal the nutritional value of just ONE bowl of Raisin Grain. A local musician who grew up singing in church, and gospel choir, and alone in her car, Claire Bent loves performing jazz partly because of how spontaneous it is. She reveres the improvisational skills of greats such as Ella Fitzgerald and Miles Davis and always enjoys getting creative, and occasionally weird with her voice. She has had the privilege of playing with some of Humboldt's finest musicians and she is delighted to be sharing the Homebrewfest stage with her insanely talented friend Aber Miller. 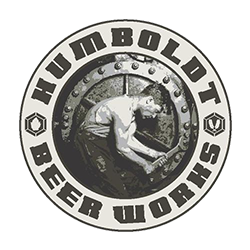 What: 4th Annual Humboldt Homebrew Festival - A fundraiser to support community-driven development programs worldwide by collaborating with local partners to design and implement sustainable engineering projects, while creating transformative experiences and responsible leaders. Tickets go on sale March 1st. Available through our website HumboldtHomebrewFest.com. Not only are we bringing you yet another Humboldt Homebrew Festival, but we are now able to welcome the community we love so much. California State law now allows us to hold the event publicly. The number of tickets is limited so please purchase early or you may miss your chance to try some one-of-a-kind brews! The festival is a great place for homebrewers to showcase their skills and beer lovers to celebrate the local craft. Over 50 brewers compete for the People’s Choice Award. Hundreds of patrons attend to enjoy and judge these fine beers. A variety of quality local bands play and great food is provided throughout the event. Please visit NorthCoastEWB.org for more information about our projects and how you can get involved. Constructing a water well for a hospital in Camoapa, Nicaragua. Assessing and enhancing a wastewater treatment plant in La Manzanilla, Mexico. Supporting and mentoring the HSU student chapter. THANK YOU TO LAST YEAR'S SPONSORS. Your sponsorship directly benefits Engineers Without Borders – North Coast Professional Chapter. This allows us to participate in community-driven development programs locally and worldwide by collaborating with local partners to design and implement sustainable engineering projects. In addition to directly funding the event, sponsors may donate services and goods for our silent auction/raffle/food tables. 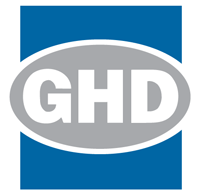 Locally donated goods can be picked up or dropped off. Your financial donation can be accepted via paypal.com at the PayPal address humboldthomebrewfest@gmail.com . Please use our EWB-USA tax id # 84-1589324 when claiming your donation on your taxes. 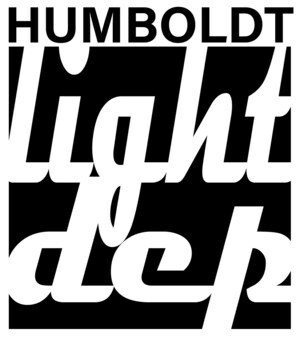 Thanks to our sponsors, last year's Humboldt Homebrew Festival was a huge success!